than 30 years. From my window, I often watch a herd of goats traversing the hillside or hear partridge call at the bottom of the arroyo. I’m not Spanish. I grew up in midwest America, land of corn and soybeans, got a degree in journalism and worked as a reporter in the Chicago area before coming to Spain. I arrived to spend a year or two abroad—and never left. During my first year living in a Spanish village, shopping and cooking were a daily adventure. I learned Spanish cooking in village tapa bars, where I migrated to the kitchen. Intrigued by all kinds of wigglies, squigglies, uglies and unmentionables (squid, octopus, snails, baby goat, bulls’ testicles and more), I tackled the kitchen with the zeal of the investigative reporter. What impressed me about Spanish food when I first came here to live was the freshness of it—the immediacy of fish just hours from the sea, eggs still warm from the hen, milk from the neighbor’s goat, tomatoes fragrant from the vine, oranges I picked in the back garden. Even the meat--pork chops that a day before I watched go squealing and grunting into the butcher’s back patio. I loved discovering new produce. 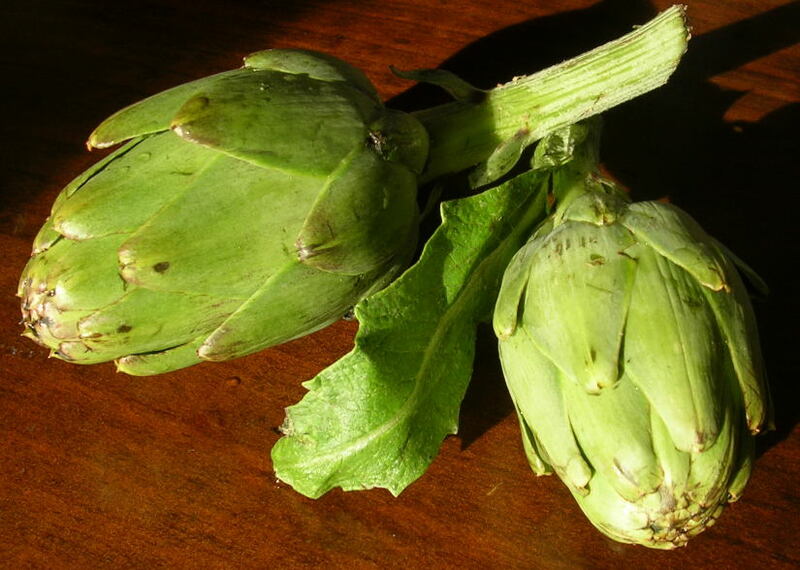 I had never seen artichokes growing nor cooked fresh ones. Had never tasted a cherimoya. I couldn’t even identify chard for the longest time. 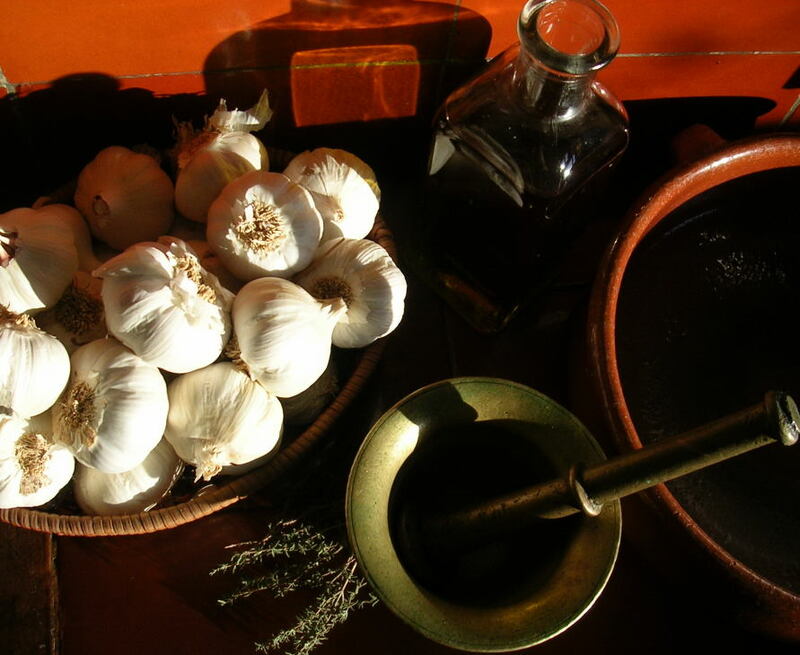 For someone used to reaching for powdered garlic salt, real garlic was a revelation. The variety of glistening fresh fish and shellfish astounded me. I collected recipes from Spanish neighbors and, on travels elsewhere in Spain, from restaurant chefs and from just about anybody willing to talk about cooking. With an index file of hundreds of authentic recipes and a passionate desire to stay in my little white-washed village in Spain, I pitched a cooking column to the editor of a locally-published English-language magazine. about unusual produce in the markets; what was seasonal, specialities of the regions, holiday foods, wines to drink with the meals, all accompanied by recipes. I became the expert in Spanish cuisine. My first cookbook, COOKING IN SPAIN, grew out of those articles. 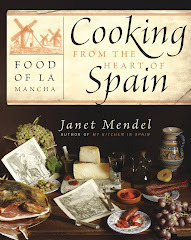 Since then I’ve written several more books about the food of Spain (titles: MY KITCHEN IN SPAIN; COOKING FROM THE HEART OF SPAIN—FOOD OF LA MANCHA; TRADITIONAL SPANISH COOKING, and, the newest book, TAPAS—A BITE OF SPAIN). 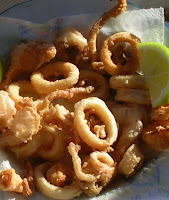 I continue to write about food and travel in Spain for web, magazines and newspapers worldwide. I pick my own olives and cure them (here’s how). Although I’m not much of a gardener, I love picking seasonal vegetables from small plots on my terraced hillside. In summer, I have tomatoes for gazpacho; in fall, chard and cabbage for rustic Spanish potajes (soups and stews); then menestra, a spring medley of artichokes, fava beans and peas. I have two sons who were born in this olive grove and grew up with this food. Grown men now, they come home with their children, my grandsons, to help me pick olives and join me at the kitchen table. 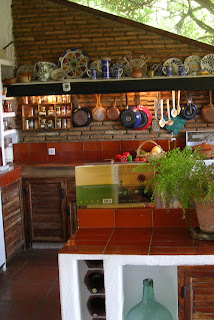 This is a blog about Spanish food and home cooking, live from my kitchen and garden. I’ll tell you what I’m eating, where I’m eating and how to cook it—with Spanish style. Let me know what you think—we cooks love feedback! To read more about the cookbooks I've written, follow the link (below) to another post. Join me in my kitchen in Spain. Want to learn to make paella? Do you dream about perfecting the tricky Spanish potato tortilla? Or, would you like to be able to put together a tapa party? Enjoy a vacation in Spain and come cook with me. 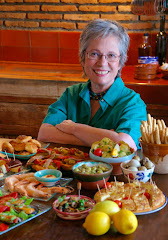 I’ll show you how to make authentic Spanish food—in my kitchen in Spain! 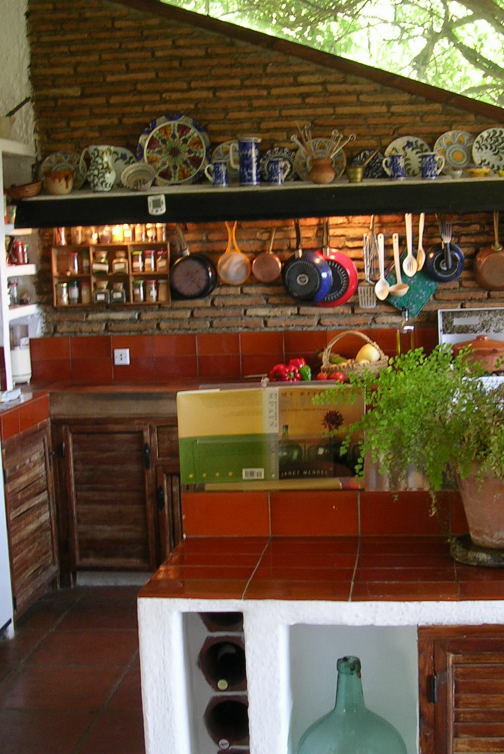 It is so nice to hear your voice again in my mind as I read about your fabulous kitchen and life in Spain. I can almost see you at the window, looking out over the groves. Sweet! You inspire me to get out your cookbooks and plan another Spanish dinner. My friend, they are all Spanish dinners!! Just havin fun. Hi Janet, just found your blog. @ Sabor of Spain. I have a wonderful new sauce I will share with you as soon as I lock it down tight and start manufacturing process. I had the honor of cooking vegan varieties of our tapas for Woody Harrelson and John Woo. An amazing experience for me as a Chef. I plan to open my own little Tapas Bar soon. Jay V: Saludos. Suerte with your new sauce and tapas bar. 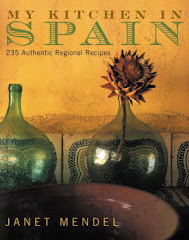 Somewhere in 1989 I bought your book " cooking in Spain" 4th print in a cooking stuff shop in Madrid ( shop is still there!) after having worked in Madrid for 2 years. I left to go back to the Netherlands my homecountry. Your book has always been my reference on Spanish Cooking since that date. Yesterday making a big Paella for 14 persons and checking your book ( 1989) I googled your name and came to this blog! Fantastic ! I still go to spain often but your book is on the shelf with some big others but I forever check it! Esper: Welcome to the blog. I'm so glad you like COOKING IN SPAIN. I hope My Kitchen in Spain blog will expand your reference on Spanish cooking. Your My Kitchen in Spain -- our last copy -- is now passed to the next generation. Julie asked for it and we delivered it to her Thanksgiving Day in Seattle. Your blog is an excellent substitute! 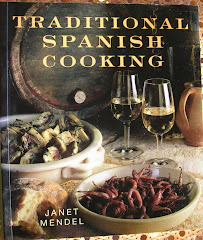 What a great idea Janet - My tattered copy of your Cooking In Spain is still my Spanish cooking bible and I shall be following your blog avidly, pinny on and wooden spoon at the ready. Congratulations Janet! great to see that you keep contributing to the knowledge of Spanish food and cooking, now with your own blog. If we can help you somehow, please count on us. 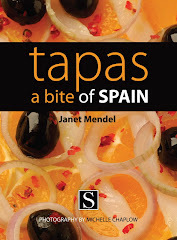 Hi, Janet- I'm a midwesterner who is now living near Madrid, and my wife and I have fallen in love with the food, too. We came from LA, and it was the LA Times gazpacho article that helped me find your blog. With some luck, we'll get to stay in Spain for many years to come, and we can use your books now to help our culinary education. Hi! I'm a midwesterner wishing I could live as you! My father was born in Seville and while I really know nothing about "being" Spanish, I know Spanish blood courses through my veins. Nothing gets me going more than hearing flamenco music! Anyway, I write because I want to make white gazpacho, but am at a loss as to what to serve with it. I thought about fish, but can't find a Spanish recipe for fish! I found a Moroccan recipe that sounds delicious, but I'm not sure if it would complement the gazpacho. Any suggestions would be greatly appreciated!!! Ole! 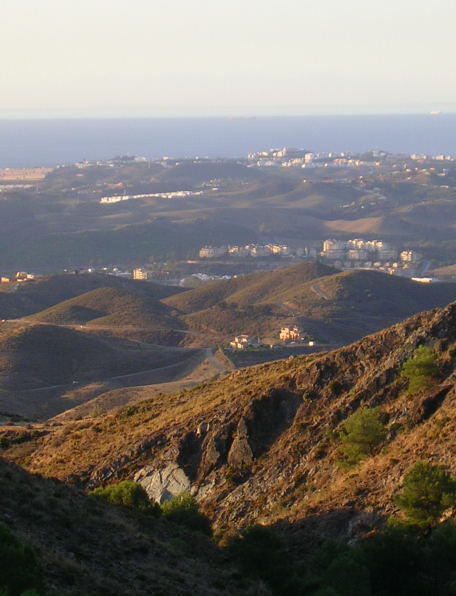 I will be visiting Southern Spain sometime in April and looking to meet people who have the same passion: Cooking. If you are keen, please visit my link and get to know a little more about me, and let's find out how we can have some fun to talk about food together during my visit. Hope to hear from you soon. Thanks. Good morning I'm looking for some piquillo pepper seeds can you help. Janet, I'm a fellow midwesterner who lives in Malaga province, too! We live on a 22 acre olive farm about an hour inland from Malaga. I'd be interested in a private email conversation about a couple of things if that would work for you! Been living in Spain for about 15 years. Finally, being retired, got into cooking, and have ... dare I say it ...?, successfully whipped up some of your delicious recipes. Started small, with simple stuff, and now working my way through "Taste of Spain". Saludos de Parcent (ALC). Just as a by the by, I live with one of your lot ... Yankee native from Queens, NYC. Judith: I've never made turrón, although I visited one of the Jijona turrón factories. I do have a recipe for horchata with almonds in MY KITCHEN IN SPAIN. Perhaps in the early fall when I pick almonds I will have a go. Sunshine: Welcome! Hope you find some good cooking tips here. Can't say I miss American football-- but, cranberries, oh yes. As a "Michigander" with a house in the Murcia region, I just wanted to say that I love all the posts and stories about living in Spain. We just retired and plan on spending alot more time in our little village. We would love to share recipes and food tips! Colette: Thanks for joining our ongoing discussion of cooking and eating in Spain. i think your blog and your cook book are both fantastic! Quick question for you. I am having my boss and his Spanish Basque wife for dinner in a couple of weeks and want to prepare a fully Basque meal. Can you reccomend some dishes for me? The more authentic the better!! Will: How about a bacalao (salt cod) dish? Bacalao pil pil and bacalao vizcaina are Basque classics. The seafood soup that I mentioned in this post http://mykitcheninspain.blogspot.com/2011/02/five-star-seafood-soup.html is fabulous--small servings as a starter or turn it into a main course. Marmitako is a Basque tuna and potato stew typical of home cooking. Basque cheese: idiazábal is a smoked sheeps' milk cheese. Sibyl: No easy tips for cookbook writing. I came to it via journalism, I'm a reporter, not a chef. As a chef, you will probably find the recipe development the easy part. Put together an idea, then write a proposal. See where it takes you--- Good luck! I've been following your blog for a bit and it suddenly occurred to me that you might be able to help me with a question I have about ingredients. 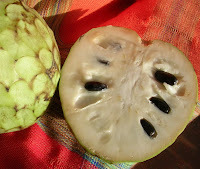 I'm trying to make Bola Larpeira, (which I discovered in Melide last April) but I'm a bit stumped. The recipe I have calls for 50 g of "anis". I'm imagining that it doesn't mean aniseseed, so could mean either the extract (though that seems like a lot) or an anise flavoured liqueur. I'm dying to make this recipe, and I have anise flavoured liqueur. Anise flavouring is hard to get here in Kingston, Ontario, despite a thriving Portuguese community, so I'm hoping you're going to tell me that I can use the liqueur. Yours, with bated breath, and salivating wildly for a taste of that gorgeous bread. Chris: 50 grams of aniseed is a lot of aniseed! Would depend on the amount of flour. As this is a Portuguese, not Spanish, bread, why don't you consult David Leite at www.leitesculinaria.com. Well, its actually Galician....but thanks for the link. Chris: And, so it is--Galician. Which I do not understand any better than Portuguese! I'm looking in the "bible", Cociña Galega, by Alvaro Cunqueiro. One "bolo" recipe calls for 350 grams of flour and 1 "vaso" (about 1/2 cup) of aguardiente (anisette liqueur). Another calls for 500 grams of flour and "a small spoonful of anise extract." Good luck in recreating this bread. Your fish story in yesterday's Times reminds me of my own Soup Adventure in Spain. It was in Torromolinos. The story has been published a number of times. The link below was from Hack-Writers published in the UK. I hope you enjoy it. David Russell, druss811@verizon.net. Mary: Costa del Sol, Málaga. Doris: You have a real "insider's" view of paella and other Spanish dishes. I know what you mean about paella abroad--cooks seem to want to "interpret" it, or "improve" it. When in fact it is a very simple dish, but loaded with flavors. Come back again! I would love to e-mail you about a guest post, but I can't find your e-mail anywhere on the site! Julianne: Thanks for your interest in a guest post. However, MY KITCHEN IN SPAIN is a personal view of the food of Spain, with recipes I have tested in my kitchen, so I do not use guest posts on the blog. I do welcome comments and insights from readers. ust came across your blog and wow the food looks amazing and delicious!! We will be moving to Rota in a few months and cannot wait to live in Europe again!! REally can't wait to taste the yummy foods again!! So many dishes to try and to be cooked at home!!! I will soon test out your recipes!! :) I do have a question, are there many Vegans or Vegetarian dishes in the restaurants served as meals? Thanks!! Melissa: Definitely more consciousness of vegetarian eating in Spain. Gazpacho is a fine vegan dish! Lynsey: Glad to be an inspiration. Welcome to the blog. janet, re: your trials with piquillo peppers, you might check out the Santa Cruz, Ca. blog, "Love Apple Farms". She has an production farm for Manresa rest. in Saratoga, and concentrates on the nightshades. She has classes pertaining to nightshade culture and may have tips for you should you want to try again with the peppers for better results. Your terrior on the coast is very similiar to hers in CA. probably even a bit warmer. Lovely blog, will be back! Sue: Thanks for your helpful advice. I have to admit, I haven't planted piquillos since that season a couple years ago. Such a wonderful blog! I am so inspired to start trying some new flavors. On another note, I am interested in launching a series about global cooking and would love to highlight you in the Spanish section of the series. I didn't see an email contact, but I would be absolutely thrilled if you are interested. Please feel free to email me at meghan@cakenknife.com if you would like to discuss further. I hope to hear from you soon! Hi Janet, I'm very happy to have found your blog. 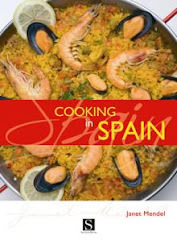 I have used your wonderful cookbook, Cooking in Spain, for many years! Gonzo: Welcome to the blog. I'm always pleased to hear from folks who like the cookbook. Hi Janet! I absolutely love your blog. I'm an American as well, about to get married and move to Logrono in the Basque region of Spain in just two months! I was hoping you wouldn't mind connecting with me over email about how you learned your way around a Spanish kitchen? My fiance is from Valencia and I have quite a bit to learn if I'm going to compete with his mother's cooking! I'd appreciate any helpful words! Savannah: You'll find my experience finding my way around the Spanish kitchen in the cookbook MY KITCHEN IN SPAIN. Also, once you get to Spain, buy a copy of COOKING IN SPAIN--lots of information about produce, fish, meat cuts in Spain. Helpful words: don't compete with his mother's cooking! Get her to show you his favorite dishes. Hi Janet, loving the blog, it's left me quite hungry. I've looked and can't quite find it, but do you have an email address I can contact you on? Hi Janet! I have so often thought of you, your boys, now all grown up. And of course, the delicious dinners in your lovely Spanish casa. I just made your wonderful recipe for Chicken Marbella to share with friends-sooo good! Patty: Nice to hear from you and pleased you enjoy the blog. My boys now papas--it's a pleasure to cook for grandsons (3) when they visit!